Whether you’re an entrepreneur, executive, or artist, producing a podcast can deliver massive return. 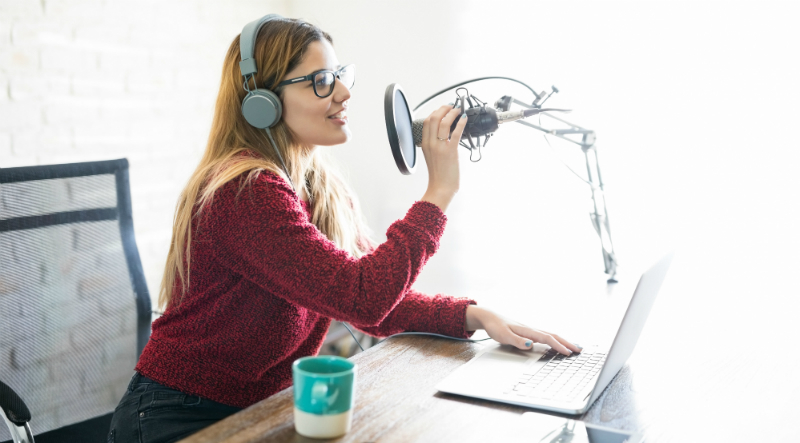 Often times it’s the business or organization that benefits directly from the podcast content, but hosting a show, or having an important role can greatly enhance your own personal brand. If you’re interested in growing your personal brand, you’re likely already delivering content to your audience regularly. Photos and videos are great, but podcasting provides unique benefits unlike any other media. Yes, you can become a thought leader through video, books, and articles. However, podcasting provides a platform that’s long enough to be thorough (think Ted Talks), and requires far less investment than a book. Like a Ted Talk, you can discuss topics extensively in an hour. If your content is engaging, your audience will wonder where the time went. Podcasting is much more casual than a Ted Talk, though. So your presentation doesn’t need to be completely scripted, you don’t have to wear a suit, and you can involve clips or live discussion from other leaders to enhance your show. Create a deep, meaningful bond with your audience. Whether your episodes are 30, 60, or 90 minutes long, your podcast will be far more effective at building relationships than a 60 second Instagram post. Like a good radio personality or tv character, your audience can feel like they know you, trust you, and like you without ever having met you. Producing one podcast can give you valuable content for virtually all your digital marketing platforms: iTunes, Facebook, Instagram, YouTube, LinkedIn, email and your own website. Record the audio and video together, and you can reach each unique segment of your audience, no matter which platform they prefer. Bringing in guest contributors to your podcast can help you capture all new networks. The guests you bring in will likely have their own audiences, who may or may not be familiar with you. These people might listen to your podcast simply to hear someone they’re already engaged with. Now you’ve got an opportunity to introduce yourself and your brand. If you do bring in a guest, make every effort to help them share your podcast after it’s published. Unlike a SnapChat video, podcast content doesn’t disappear. Someone who discovers your podcast long after your first few episodes may want to listen to your whole series, or all the episodes covering similar topics. Over time, you can build a library of content that will keep enhancing your brand for years to come.